April 3, 2017 by Rob M.
I randomly heard Eye of the Tiger today, and every time I hear that song I get embattled again with the eternal struggle of whether the lyric is “thrill” or “cream” of the fight. It seems today the “thrill” crowd is winning, because “dude, cream makes no sense.” Except cream does make sense, and thrill is grammatically incorrect. 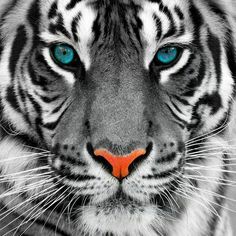 ‘The eye of the tiger’ is a concept representing the spirit of the fight in all of us. ‘Rising up to the challenge of our rival’ explains what that spirit is doing. ‘And the last known survivor’ speaks of the last of a group of someones or somethings, stalking its prey, biding its time, taking its revenge, expressing the animal nature and pure qualities in the spirit of the fight. This is confirmed as it’s watching us all with the eye of the tiger. This reinforces that eye of the tiger is an abstract concept and the second half of the lyric is concrete. <abstract personal characteristic> it’s the thrill of the fight. <abstract effect on me>, it’s the trill of the fight. <abstract personal characteristic> it’s the cream of the fight. rising up to the challenge of our rivals. Posted in Music. Tagged Analysis, Lyrics, Survivor.